I know. I know. Being responsible is no fun...especially when you're preparing for some exciting summer adventures. However, keep in mind that meeting your IQR deadlines is crucial for avoiding a penalty from CMS and achieving a successful IQR submission. 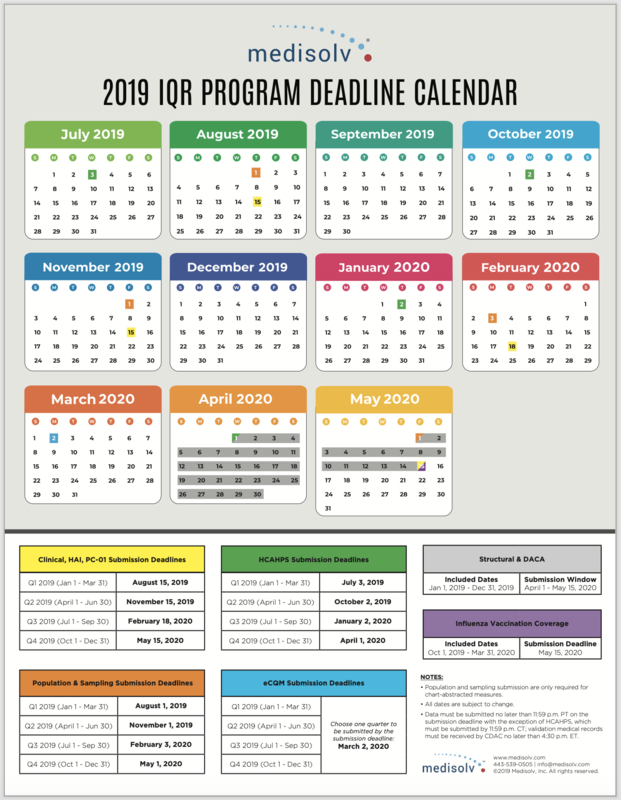 To help you get organized, we’ve put together a complete schedule of your 2019 Hospital IQR program submissions. Be sure to download it to stay up to date with all the important deadlines for the IQR program this year.